If you have been keeping up, Apple’s official iOS 8.3 public version was released before few days. If you want to unlock the iOS 8.3 version you’ll need to know about the unlocking methods that exist, the mobile networks that can be unlocked, as well as the iPhone models that are supported. There are three unlocking methods but only one will actually work for iOS 8.3. This is a method that uses PanGu Jailbreak and Ultrasn0w app but can’t unlock iOS 8.3 version. This is the only method that can unlock iOS 8.3, and is Apple and Mobile Network approved. Are you wondering why the above-mentioned Software and Hardware methods can’t unlock the iOS 8.3 version? The software method needs your iPhone to be jailbroken and then for you to install Ultrasn0w through Cydia. iOS bugs which Apple is trying to eliminate are exploited for this method to work. The PanGu tool does support the latest versions of the iOS but the problem is the team behind the Ultrasn0w tool. The team has been inactive for a long time and thus the tool is useless when it comes to iOS 7 and higher. If you happen to know someone asking for money to unlock iOS 8.3 through this method you can be sure it’s a scam. The hardware method doesn’t need a jailbroken phone or an unlocking tool. 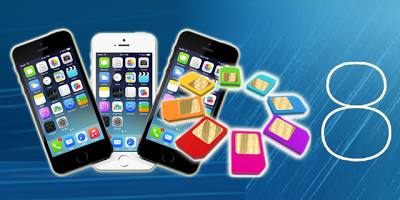 What it does need are SIM-Cards which are specifically designed and are to be squeezed with the original SIM-Card in your iPhone. A lot of companies are offering such cards but feedback hasn’t been good. Many users have voiced their complaints about low voice quality, failure of unlocking a device, and drop in phone calls. The only method that can guarantee unlocking iOS 8.3 version is the official IMEI unlock method because it doesn’t have any concerns with the iOS version, iPhone model, exploiting bugs or version of the baseband. The IMEI unlock method can be used for any iPhone model and is processed officially by Apple. The delivery for the unlock is 48 hours. Keep in mind that you have to connect your device to iTunes for the unlock to be completed after you get a notification on your iPhone. The method works with all version of the iOS 4 up to iOS 8. Everything will continue working such as iMessage, Facetime and Push Notifications once the unlock is complete. There’s no need for your iPhone to be Jailbroken and you won’t lose your Jailbreak either. There’s no need for you to install any additional software. Apple’s warranty will not be voided through this method, and you’ll get your money back if the unlock doesn’t work. In order for you to make use of the official IMEI unlock method you will need to know your iPhone’s IMEI number, network and blacklist status. You can visit this link to Unlock your iPhone 6 Plus, 6, 5S, 5C, 5 Permanently NOW.